"You change your underwear, together we change the world"
Underwear companies that blend great designs and sustainability with social and environmental causes always catch my eye. 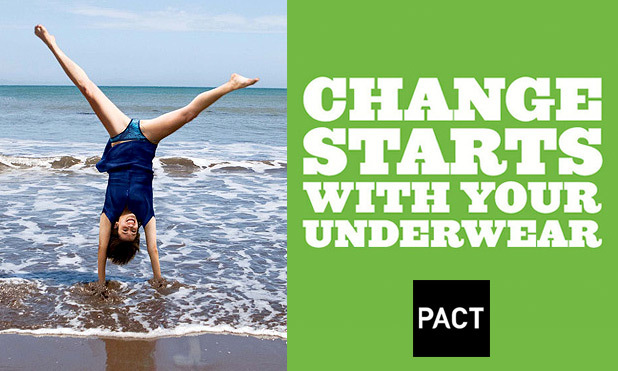 And PACT underwear has done just that. Not only have they produced eye catching designs but they are made from organic cotton and use ethical manufacturing. Producing men's, women's and babies underwear in plains and prints, there is a choice for everyone. "Good design for good people"